When it comes to delivering high-quality global search capabilities and recruiting the best executive talent, boundaries are of little importance, as Brian Sullivan, CEO of global search firm CTPartners, is quick to point out. “CTPartners is not a US search firm with offices across the world, it is an international search firm that happens to have offices in New York,” he says. This approach is reflected in the fact that CTPartners’ executive search consultants are not organised on geographic lines. They are dedicated to specific industry verticals and are all experts in their sectors. The firm’s largest industry practice groups are financial services, professional services, life sciences, technology, media, telecom, retail, consumer and industrial. “We believe that industry specialisation enables us to better understand our clients’ cultures, operations, business strategies and industries,” Brian continues. Running a business in today’s global economy can be culturally complex and uncertain. As such, it is important to ensure the different perspectives are reflected across the business, and that collaborative and strategic decision making is the rule, not the exception. Brian is keen to emphasise that in such a challenging environment only the very best leadership teams will do. “As businesses are increasingly developed on an international basis, you also have a team of global direct reports that cut across geographic boundaries. As the P&L becomes global, so does the executive team. At CTPartners, we also have a global team with the intellectual capital necessary to guide clients together with an in-depth personal understanding of the cross-cultural challenges and issues they face,” he concludes. According to Vice-Chairman of CTPartners, Geneva-based Sylvan Dhenin, the majority of the client briefs CTPartners receives in Europe are related to helping corporations attract talented individuals with international profiles for their global management teams. And today, stresses Sylvain, the “right person” will have both an in-depth understanding of working at a multi-national level, as well as inside knowledge of local markets. “Companies are also keen to attract locally-based executives with an in-depth understanding of local cultures as opposed to the traditional expatriate-style international executive who require expensive expatriate contracts,” he adds. On the question of how to manage global leadership teams, Deirdre Kenny, who heads up CTPartner’s UK office, explains that there is a delicate balance to be struck between the level of decision making taking place at company headquarters and the need for decision making at a local level in the geographic regions. She also believes that it is important to create a leadership team that, while geographically dispersed, shares the same DNA as Head Office. When it comes to identifying tomorrow’s global leaders, Brian Sullivan says that a new generation of more internationally-oriented CEOs are gradually taking over as younger executives » in their late 30s and early 40s move into the boardroom. He also believes that this younger generation have a head-start in understanding fast-moving technology developments and issues. Given their age demographic, they are more likely to be familiar with the integration and use of new media and the latest web technologies as a business strategy tool. “Social media is not just for consumers. Every industry is looking at ways in which to educate their management teams and to integrate social communications and technological innovation into growth strategies. This includes external communications with clients and customers, as well as training and development and internal employee communications”, says Brian. He also highlights that, regardless of age, the challenge for today’s executives is to assimilate and adapt to fast-changing parameters. “Companies face unprecedented complexity and competition in today’s 24/7 business world. Global economic challenges and a rapidly shifting competitive marketplace are just a few of the hurdles for companies to leap. As a result, CEOs and their C-level executives must be more expert and adaptable than ever, whether they are managing an entrepreneurial start-up or a multinational corporation,” adds Brian. It is clear that the global talent pool is highly sought-after. So this raises the question as to whether there is a ready supply of CEOs and senior executive-level candidates with the required mangement skills to help build successful global businesses. “Yes”, concludes CEO Brian Sullivan. “At the same time it’s important to remember that each appointment will be different and the requirements of the board will reflect this. Sometimes the experience and skills required to succeed in a global environment can be developed in-house and other times we will need to search externally. 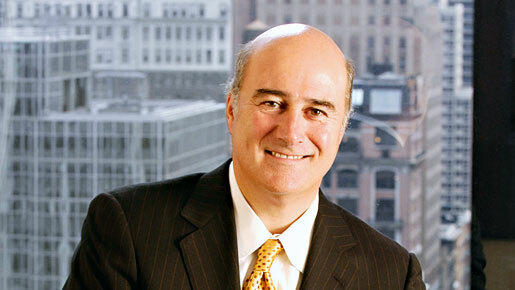 CEO Brian Sullivan joined CTPartners in 2004 and has developed its reputation as one of the world’s leading executive search firms. In 2010, Brian took CTPartners public (AMEX:CTP). A highly sought-after human capital expert, Brian is a regular contributor to major international business publications. In 2008, Brian was named in BusinessWeek’s ‘Top 50 List of the World’s Most Influential Headhunters’. Brian is a member of the Association of Executive Search Consultants and he is a Board Member of Skana Aluminum Company in Manitowoc, Wisconsin. His primary charitable interest is InStride, a therapeutic horseback riding academy for special needs children and adults located in Sarasota Florida. He holds a Bachelor of Science degree from Lehigh University and a Masters of Business Administration from Denver University. Sylvain Dhenin is Vice-Chairman and a member of the Executive Committee with CTPartners. Sylvain has an extensive track record of serving clients in the industrial, professional services and private equity industries and is active throughout Europe. He has recruited Chairmen, CEOs, CFOs, and other senior level executives. In 2008, Sylvain was named in BusinessWeek’s ‘Top 50 List of the World’s Most Influential Headhunters’. Sylvain began his early career at Danone and holds a Business degree from the High Business School of Bordeaux, one of the top-ranking business schools based in France. Prior to joining CTPartners, he was Managing Partner of Whitehead Mann SAS, the French branch of Whitehead Mann plc, where he was responsible for the leadership of the French divsion. Deirdre Kenny heads up the firm’s London office, where she is Managing Partner. As a member of CTPartners’ Financial Services Practice, Deirdre focuses on serving asset management clients. She has successfully completed assignments for most senior roles, including CEOs, CFOs, heads of distribution/sales, and senior portfolio managers in equities and fixed-income for traditional and alternative asset managers. She has also conducted searches for investment banking, capital markets, treasury, and custody. During her affiliation with Heidrick & Struggles, Deirdre headed the Financial Services Practice in Asia, relocating to Hong Kong from New York. A graduate of Georgetown University, Deirdre received her MBA degree from New York University’s Leonard N. Stern School of Business.